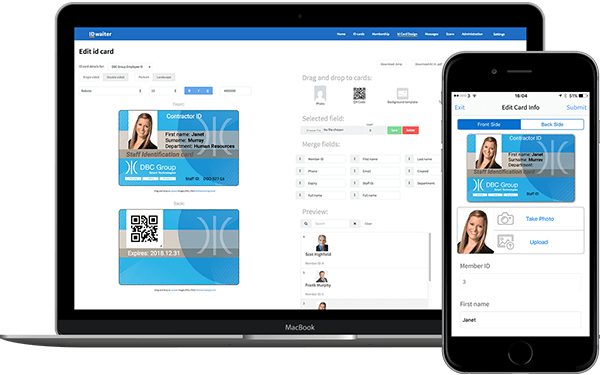 An affordable, ID card management software to issue identity badges promptly to any mobile device or plastic card printer anywhere in the world. 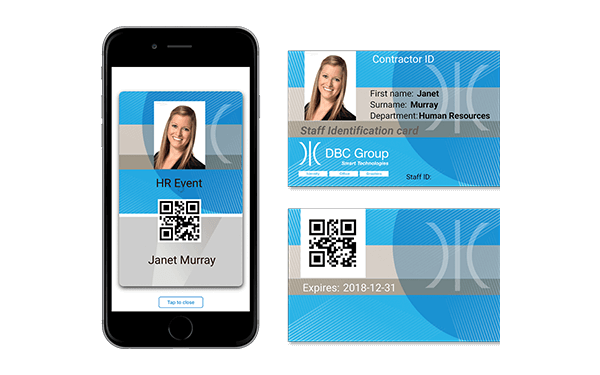 Users can design their ID Badge, capture and update data by mobile, verify members by email or text, track activity by QR code and communicate by SMS & Push notifications, all within a single platform and without the need to purchase expensive hardware. Please Note: Double sided ID badges are displayed in the Mobile App by a simply swiping left or right. 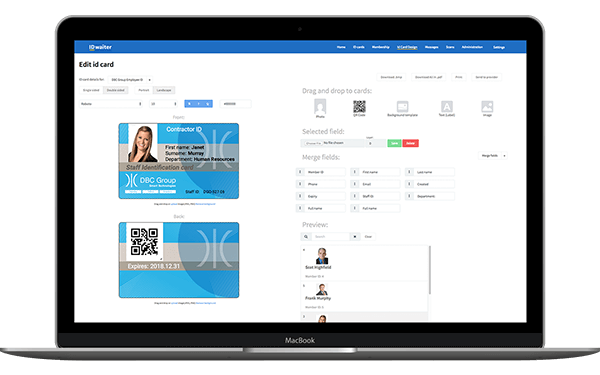 Drag and drop onto your ID badge from any PC or Mac from anywhere in the world. All elements (except QR code) can be displayed and rendered in full colour. Your ID card or badge will be displayed similarly in both printed and digital formats. Create unique QR codes for each member based on your on criteria. Alternatively, let the system assign its own code by default. QR Codes can place it anywhere on your badge design. They can then be scanned by administrators using the built-in scanner within the APP. 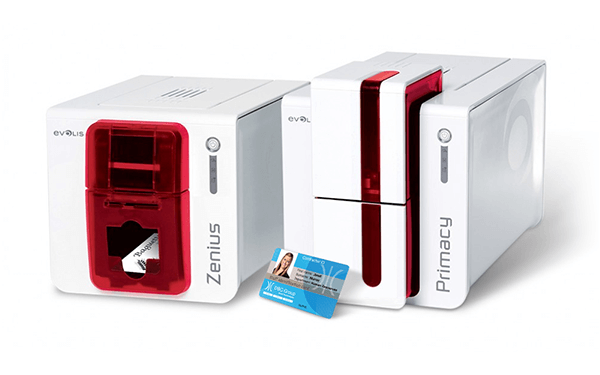 No need for extra hardware and great for ID verification at events. Import and export your membership list to create a personalised data set to suit your own needs. 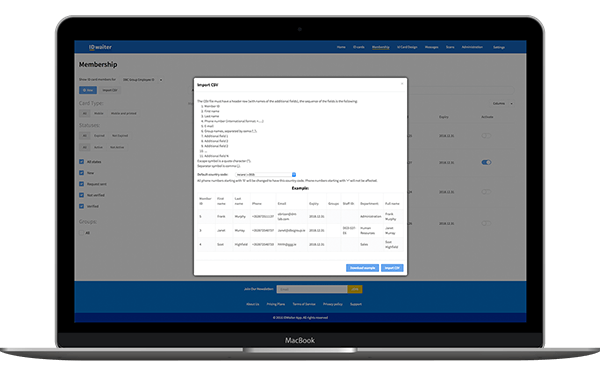 Manage multiple events, groups and associations using a single platform. 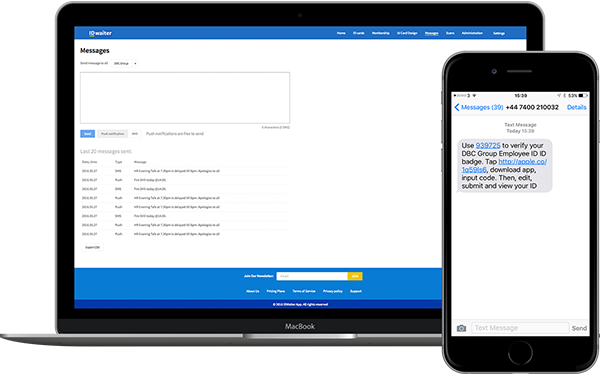 Import/export your database (via .csv) to create a personalised dataset and select the editable records that require updating by your members. To make it easy for you, we automatically generate a sample import file that corresponds to the records you wish to import. Simply click the button, match the headers and begin the import. 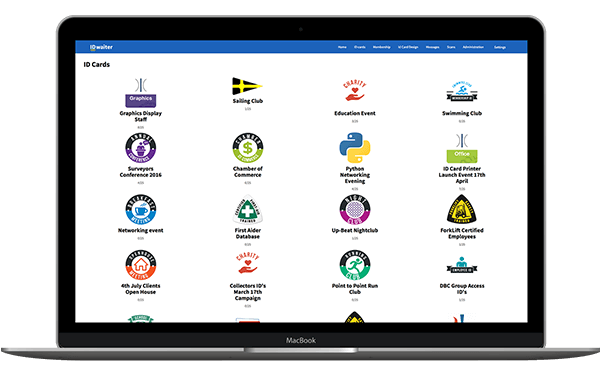 You can also assign additional administrators for each club via web and mobile app permissions. If you wish your members or designated administrators can submit photos and data directly from their mobiles using our dedicated app. 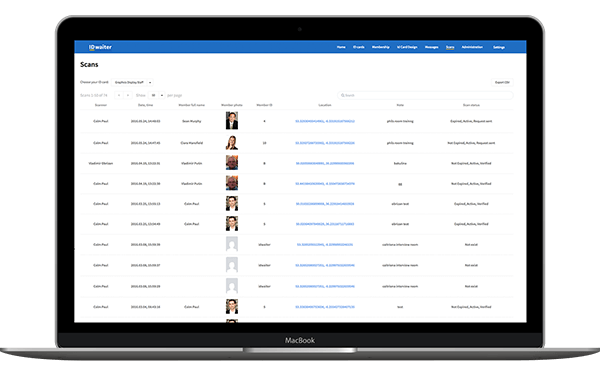 All data is synced back to your cloud based platform, giving you real-time data that’s correct every time! Send SMS notifications to members’ phones to download our app. 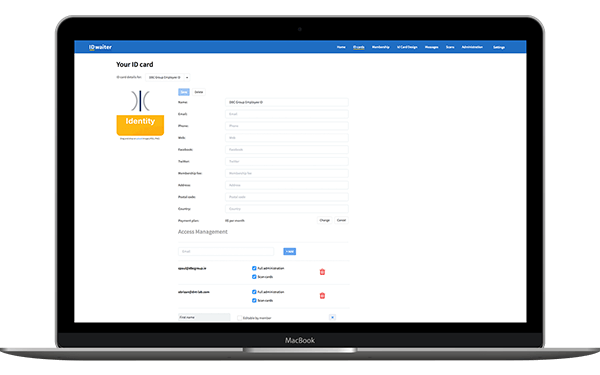 This verifies each member and allows them to submit their details and photos to your membership platform. SMS: Simply send an SMS text with a unique code and request to download the app. Every new member update is instantly synced back to the database for verification and acceptance by you, the administrator. Only issue the cards when you are sure your data and information are correct. 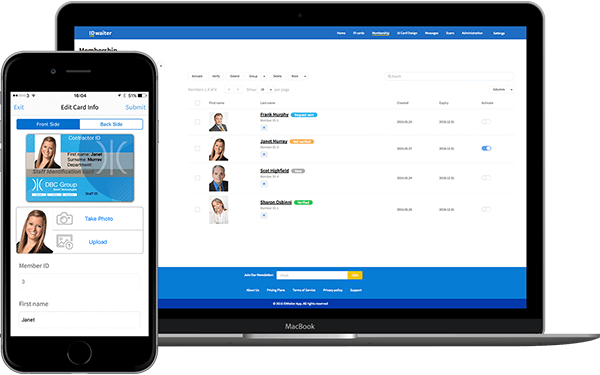 You can also assign administrators to update or add additional information for each member directly from their mobile. All instantly synced back the platform. 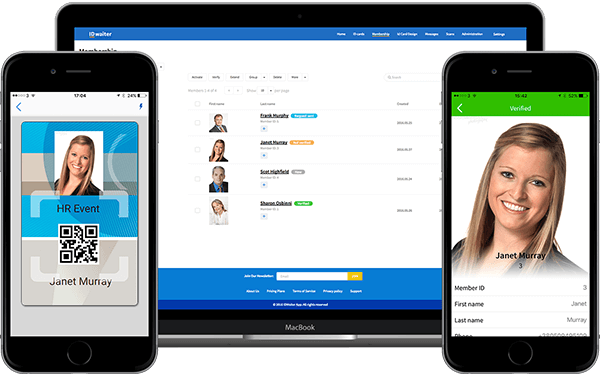 Users can capture members data and photos in three ways. By sending an email link to a dedicated webpage to allow members upload photos or any variable data that you require. By sending a “Short code” via SMS, once received the meber downloads the app and inputs the code. They then submit the data you required. Everything is automatically synced to the cloud. 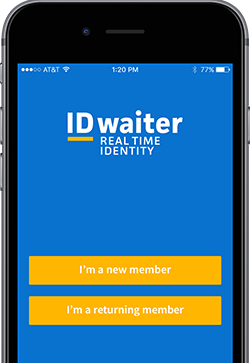 Get your members to submit their ID photo directly to you using our app. 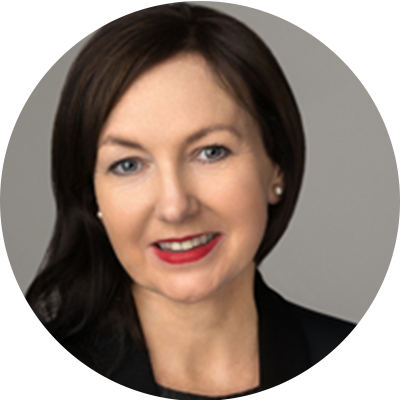 Each photo is instantly associated with that members data. 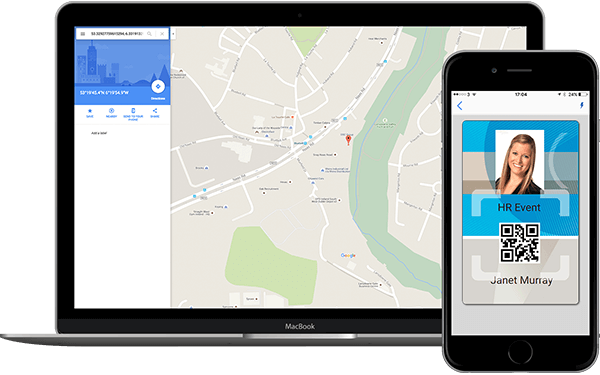 No more lost photos, everything is linked and associated to your database instantly. Alternatively, assign your administrators to capture members photos via their mobiles. 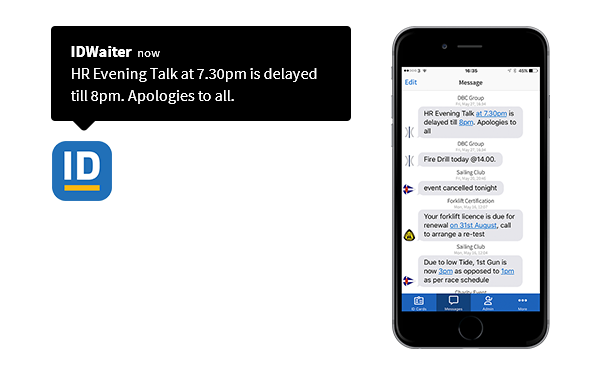 Alternatively, let your designated administrators capture comments and feedback using our app. Now you can record attendance at break-out sessions, classes or even running times complete with location mapping using our mobile app. Assign scanning rights to one or many mobile users to instantly record the activity of your members in real-time. Again, all information is synced back to the platform for instant analysis and reporting. ID cards and badges can be issued directly to each member’s phone via our app or printed using a traditional plastic card printer anywhere in the world. Print directly to any local ID card printer or choose to print to any designated printer you choose from anywhere in the world. Deliver your cards instantly to anywhere from one central location. Ask us for further details. 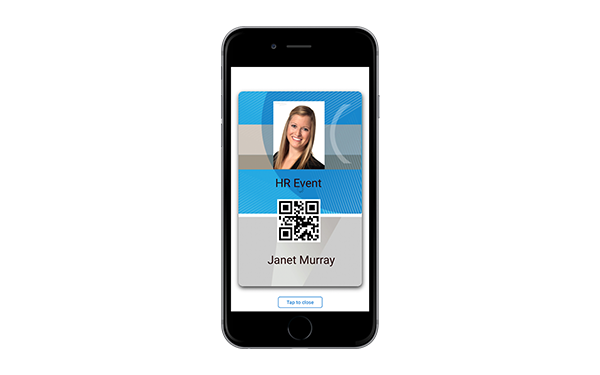 Send an exact replica of your ID card instantly to any Android or iOS mobile worldwide. Simply download our app and use it as your virtual wallet for all your ID and badge requirements. 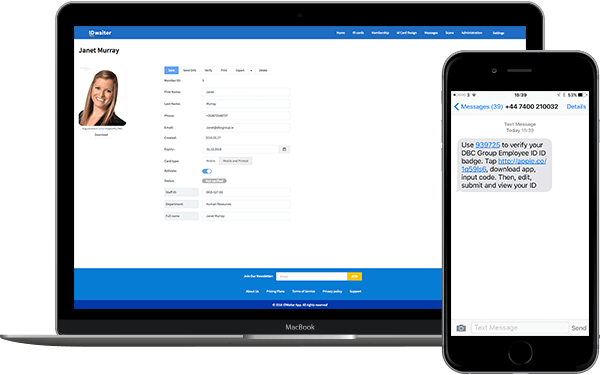 Using our platform and app you can send SMS and push notifications to your members and designated administrators in your group. 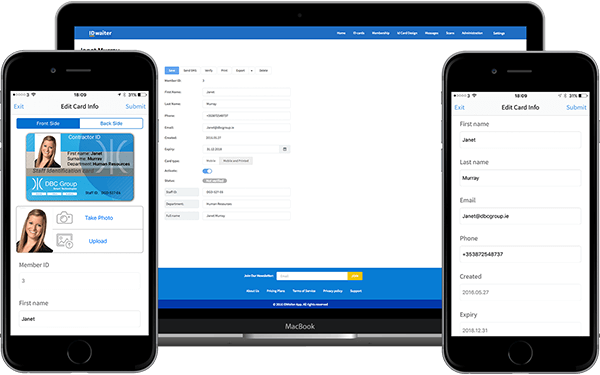 Send group SMS messages directly from the platform. Buy SMS credits and manage all your event activity from a single source. 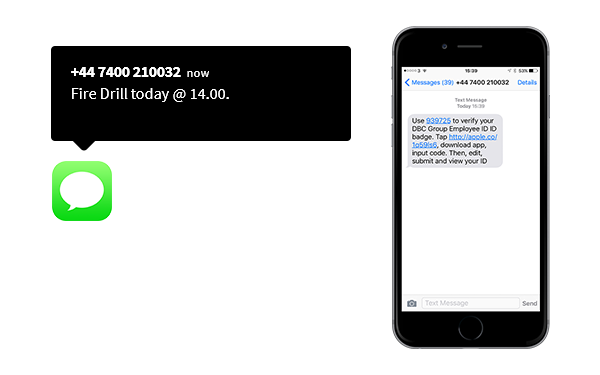 Free to use and operate, send instant push notifications to your members at the click of a button. Store all your ID cards and badges.